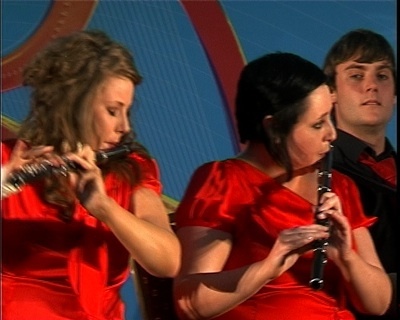 Knockmore Céilí Band from Derrygonnelly, Co. Fermanagh play a selection of reels - “The Green Mountain” and “Billy McComiskey’s” - at Fleadh Cheoil na hÉireann 2010. Band members are - Maggie Maguire, Maria Connelly and Michael Kerr (Fiddles), Ashling McPhillips and Lorena Maguire (flutes), Chris Maguire and Catherine Mulligan (accordions), Owen Maguire (banjo), Ronan Warnock (piano) and Kieran Leonard (drums). "The Green Mountain" and "Billy McComiskey's"